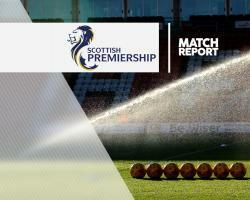 Celtic twice came from behind before Tom Rogic's late strike gave them a dramatic 4-3 win over Motherwell in a remarkable Ladbrokes Premiership game at Fir Park. Striker Louis Moult gave the home side a third-minute lead with a brilliantly-taken volley and doubled their lead before the interval with a close-range finish. Callum McGregor, a first-half substitute for Celtic, reduced the deficit in the 48th minute before winger Patrick Roberts levelled with a 69th-minute header to spark off a crazy couple of minutes which saw Lionel Ainsworth fire the home side back in front only for Stuart Armstrong to equalise again. Mark McGhee's side tried to hang on for a point against the league leaders but in the 89th minute Rogic drove a shot past Craig Samson to hand the Hoops an eighth successive Premiership victory. Brendan Rodgers made one enforced change to his Celtic side with defender Kolo Toure coming in for the first time since October, replacing Erik Sviatchenko who was ill, and the 35-year-old former Arsenal, Manchester City and Liverpool defender was at fault for both first-half goals. Before the match there was a minute's silence for the victims of the recent Colombian air disaster involving Brazilian side Chapecoense. There was less than three minutes played when a searching pass from Well defender Stephen McManus found Moult in acres of space as he raced past a switched-off Toure and the finish was exquisite as he lifted it over Hoops keeper Craig Gordon, who was helpless. It was the first domestic goal Celtic had conceded since the 6-1 win over Kilmarnock in September. The Steelmen now had something to hold on to - claret and amber shirts blocked a series of efforts from the visitors - and when they did occasionally venture forward they did so with confidence. In the 26th minute Moult got on to a Chris Cadden cross and watched his flick from eight yards escape the far post, but only by inches. Three minutes later Celtic left-back Emilio Izaguirre, booked earlier for a foul on Cadden, was replaced by McGregor and as Well retreated again, energetic midfielder Armstrong flashed a drive from 25 yards just wide. Well then raced back up the park and stunned the champions again. Moult escaped the attention of Toure at the back post to volley in a cross from midfielder Ross MacLean, who had robbed Celtic defender Mikael Lustig with a robust tackle that may well have been penalised by referee Kevin Clancy who had to work hard to keep control of an increasingly tetchy game. It was the Englishman's 10th goal of the season and it sent the home fans into raptures, but three minutes after the break nerves began to show when McGregor ended a sustained spell of pressure by taking a return pass from Armstrong and firing a left-footed drive from 14 yards low past Samson. The Well keeper then saved a powerful drive from Rogic as Celtic laid siege to the Motherwell goal with Roberts and James Forrest missing the target with efforts. Motherwell could only break free from some desperate defensive duties sporadically. In the 65th minute Samson punched a curling shot from Rogic clear to safety before saving a less impressive strike from Moussa Dembele, but he had no chance when Armstrong stood a cross up for Roberts to head in to the net. A couple of minutes or so of madness ensued. Ainsworth, on two minutes earlier for Cadden, volleyed in a cross from Steven Hammell before Armstrong levelled again with a drive from 14 yards to leave everyone breathless. The closing stages saw Celtic push for the winner and it was no real surprise when it came in the final minute, Rogic finding space in the Well box before rifling past Samson.